My love of fabric and thread started in early childhood. 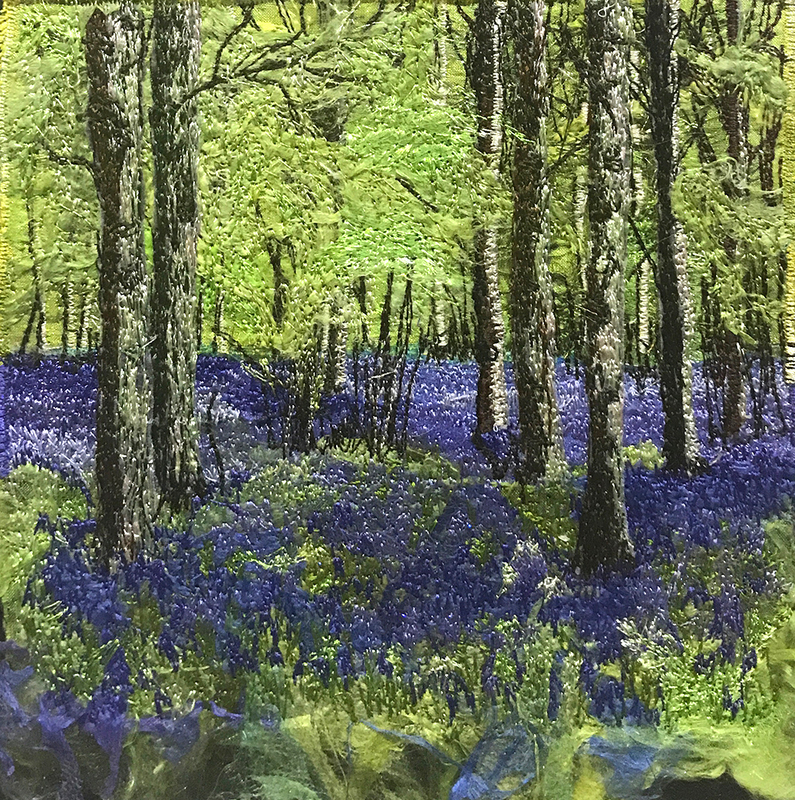 I then worked in oils and ceramics, and more recently have come back to using fabric, thread and mixed media to create my pictures. I am an experienced traveller, and the natural beauty in the landscapes and surfaces that I have seen, lend themselves well to the media I work in. For example, my travels to Australia and New Zealand, noticing the effect of colour and light on the landscapes and sea, have led me to experiment with layering lurex and chiffon to reflect the vibrancy of the colours of the scenery.Originally, my work was historically based, covering art from Crete and ancient Greece, but many different influences can now be seen - from the natural environment, to the architecture of Venice and the artists that inspire me (Mackintosh, Monet, Klimt). Materials used are chiffon, silk, metallic thread, sea shell fragments, paper, metal, ceramics, hand made textiles created using some of the techniques below (eg hand made silk paper).Treatments used are stitching, free machine embroidery, melting, creating burned edges, and distressing fabric. A key feature in my work is the layering of different fabrics which achieve two kinds of effect: creating depth of colour and vision as well as removing sections of material to reveal the colours below. The work is then embellished with metal, beads, silk paper and free machine embroidery. Why not have your own unique picture created of a place or scene that holds a memory for you? (Your own photograph could be used for this). I hope you’ll enjoy the pieces shown here, there are always new works being created, so if you are interested in seeing more, please contact me by email using the information above.